'Had Sigi been able to pursue his education without interruption in Austria he might have followed a profession other than that of a musician. He has an excellent mind and says he would have liked to have been a scientist; but he is also a gifted linguistic and competent in many fields. He once called himself a frustrated footballer. The cellist William Pleeth, with whom the Amadeus frequently played, summed up his relationship with Sigi in these words: "I feel I can talk to Sigi all day and night. When you have an affection for someone, then you are contetedly alive with that person, there are no reservations spiritually, humanity-wise and intellectually, and you play ping-ping non-stop".' 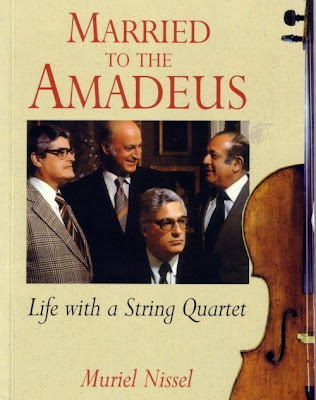 Muriel Nissel writes of her husband Siegmund Nissel (far right in photo above), second violin of the Amadeus Quartet, who died on May 21, 2008. The last time I heard the Amadeus play was in the Philharmonie in Berlin shortly before the death of their viola player Peter Schidlof brought their performing career to a premature end in 1987. It was a privilege to have heard them making music live. 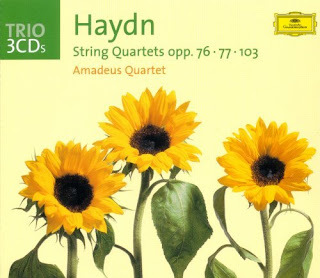 Fortunately they left many fine recordings behind, their CD of Haydn's Emperor Quartet, op. 76 No. 3 plays as I write.